The mounting anticipation from the Walkersville community came to an end last Monday March 6th in the morning when the Walkersville Diner opened up for business. The Walkersville Diner is located in the Walkers Village Shopping Center, directly across from the CVS. The town has been looking forward to the grand opening since their announcement in January. The new diner provides a comfortable atmosphere for people from the Walkersville community to enjoy a delicious meal. Their hours are Monday-Sunday from 6am to 9pm. They seem to serve a well-rounded variety of appetites, ranging from an assortment of breakfast foods to appealing appetizers to pastas, sandwiches, and burgers. 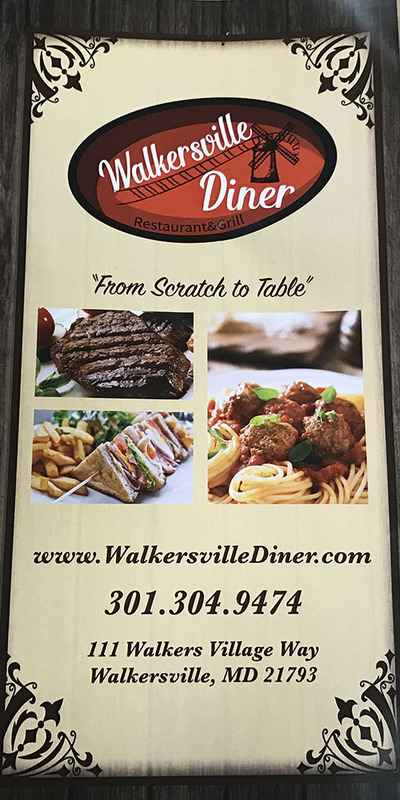 Overall the feedback has been mostly positive and members of the Walkersville community are looking forward to many more trips to the Walkersville Diner.